Scene from RNH's 2017 musical comedy "Royal Pains"
RNH - Contestant on WGBH Sing That Thing! 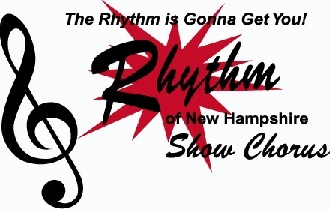 Who is Rhythm of New Hampshire Show Chorus? The award-winning Rhythm of New Hampshire Show Chorus is committed to uplifting the human spirit through song. We are dedicated to diversity in music, individual growth, musical excellence and quality performance to enhance our love of singing four-part a capella harmony and to increase audience appreciation of the American art form of barbershop style singing. We rehearse every Thursday evening at 6:45 pm at the Marion Gerrish Community Center, 39 West Broadway, Derry, NH. 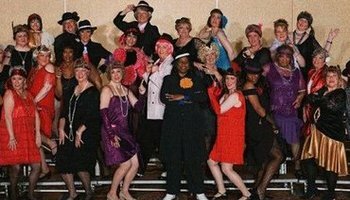 Want Rhythm of New Hampshire Show Chorus to sing at your next function? 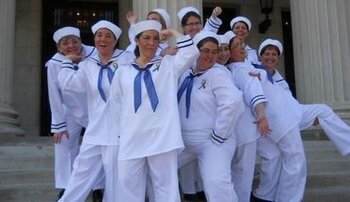 Why not hire Rhythm of New Hampshire Show Chorus to entertain at your next event? We can perform at corporate functions, charity events, community entertainment events, birthday parties, Christmas parties, awards nights, weddings, engagements, anniversaries, and other events. RNH Show Chorus to Appear on WGBH "Sing That Thing!" Friday, May 18th! RNH hosting Summer "Sing"sation Workshops this summer!